Hasselblad is one of the top names in the camera industry and is the name behind many critically acclaimed professional cameras. While the company has always raised the bar in terms of image quality, the company might have just gone for overkill with their latest offering. The company has announced the Hasselblad H6D-400c, a 400-megapixel camera that uses sensor-shifting technology to stitch together photos that measure in at 23,000 x 17,400 pixels. In case you’re wondering how the camera manages to capture the full 400-megapixel resolution, the device relies on what Hasselblad calls Multi-Shot technology. Using this technology, the camera takes six separate photos every time the shutter is pressed. Then, between each individual exposure value, the sensor shifts one pixel at a time. The resulting images are then stitched together in the same manner a traditional HDR image is processed, to create the 400-megapixel image. According to Hasselblad’s release statement, with the H6D-400c, the company “continues to be the leading choice for institutions, organizations, and museums worldwide to record historic treasures in the highest image quality possible.” As such, the 400MP resolution is deemed worthy of digitally capturing artwork and artifacts at the highest resolutions possible. The use case falls in line with the limitations of 400MP mode function. According to Hasselblad, the camera must be tethered via USB to a computer in order to use this functionality. Furthermore, the camera must be placed on a tripod, and the subject of the image needs to be stationary. Apart from the humongous 400MP mode, the camera also comes with a 100-megapixel option. Thankfully, the image in this mode can be captured in a single shot or done by using the same Multi-Shot technology, only with four exposures instead of six. The camera also comes with dual media card slots with one being a CFast 2.0 slot and the other a traditional SD Card slot. There’s also a 3-inch touchscreen display, and connectivity ports on the body that include USB Type-C, HDMI, and audio input port. The H6D-400c MS will cost $47,995 and will start shipping in March 2018. 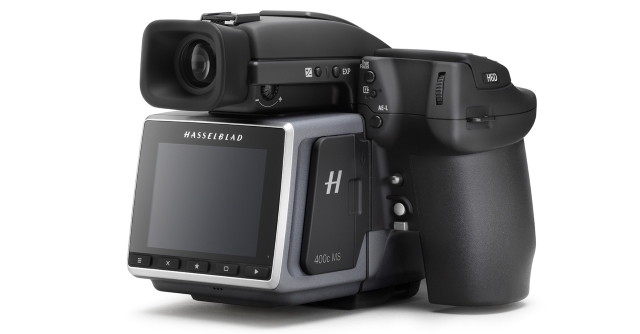 You can pre-order the device right now using Hasselblad’s official website or via B&H. Additionally, you can also rent the device for $420 (up to 3 days) by contacting your local Hasselblad sales representative.